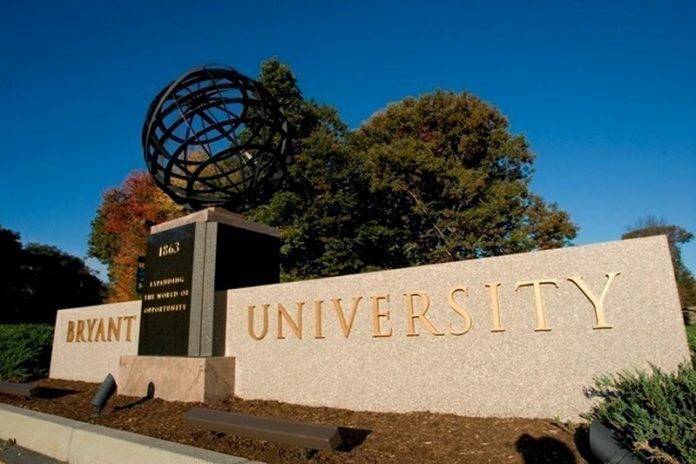 SMITHFIELD – Bryant University’s capital campaign has exceeded its stretch fundraising goal of $100 million, the university announced Monday. The original goal of the capital campaign, titled “Expanding the World of Opportunity: The Campaign for Bryant’s Bold Future,” was $75 million and the university said that the campaign still has several months before completion. The campaign collection to date includes $21.5 million in new scholarship funds, $20 million in unrestricted gifts, $18 million designated for academic programs and $15.5 million designated for new and renovated facilities. The university also said that the capital campaign included the largest gift from an individual in the school’s history, a $7.5 million donation from an anonymous Bryant alumnus. The capital campaign is scheduled to conclude in late September. “Recent gifts including the Machtleys’ [$1 million gift] and our record alumnus pledge have raised the bar for others to continue this campaign’s tremendous momentum,” said William J. Conaty, chair of the Bryant University board of trustees.